Sun rooms are becoming popular additions to homes all throughout the country. They allow you to enjoy a gorgeous view while protecting you from excessive heat, bugs and precipitation. They also can add value to your home. So how much does a sun room addition cost? There are many factors that determine how much a sun room costs. First, of course, there is the size. The larger the addition, the more it will cost to build. You also must decide how often you will be using your sun room. If you want to use your sun room to stay warm in the cold winter months, then you will probably need to include heating. However, if you live in a warmer climate, or if you only plan to use your sun room in the spring and summer, you can save money and opt for a sun room without heat. HomeAdvisor estimates that an average sun room addition costs $16,315, while a bigger sun room with a slab foundation and footing can set you back $70,000. If you have a large budget, you can splurge on certain features that may cost more. For instance, you can add additional electrical wiring if you want to include a television or other entertainment device in the sun room. You also may want to spend a bit more on custom decorations. It is best to hire trained electricians or painters for these tasks, and they can charge between $20 and $100 an hour. 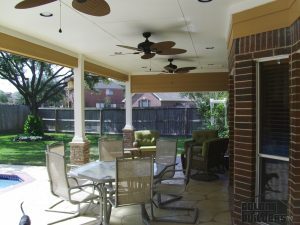 Of course, the best way to determine the cost of a sun room addition is to contact a professional. Many remodeling companies offer free quotes, so you can shop around before deciding which builder is best for you. Professionals also know how to properly measure the space, which permits are required, and which techniques work best for your specific needs and location. So if you are interested in attaching a sun room to your home, contact your local construction company today!